← Do Guns Kill or Do People Kill? We all have choices to make, some of them are small and inconsequential like what color socks I should wear today, whether I should order a burger or a salad (which might not be inconsequential if you order a burger every day!). Some are bigger; should I marry this person, should I move into a new endeavor in my life? We typically don’t get hung up on the small issues, but the big ones are problematic for many Christians, because we want to know if it is the will of God. Making these type of decisions as believers is harder, so let me provide a little guidance on how I believe we should make these type of decisions and also give a few warnings concerning common mistakes that we are tempted to make. The first truth I think it is important to remind ourselves as believers is that God speaks. He is the Word and he continues to speak. When Jesus rebuked the Devil during his temptation in the wilderness Jesus said to Satan “It is written, Man shall not live by bread alone, but by every word that proceeds out of the mouth of God.”(recorded in Matt. 4:4, quoted from Deut. 8:3). The word “proceeds” used here is a continuous active verb. Jesus is stating that God’s Word proceeds and continues to proceed. God has spoken, God is speaking, and God will continue to guide His children by speaking to them. It is his word that brings life. He is speaking, but are we listening to him? God doesn’t want us just to know what he has done in Biblical times, he wants to partner with us today. The second truth we need to know is that God has a multifaceted voice; he is not limited to one type of communication. Ways that God speaks (and still speaks) range from the earth shatteringly explicit like the audible voice of God, angelic visitations and heavenly encounters (despite the sneering of mainstream media to such ways). To more common, but perhaps harder to understand ways like dreams, visions and prophecies to other ways that we may not even discern God is speaking such as through reading the scriptures, through teaching (reading or listening to teachers or friends). If we discipline ourselves to listen to God in these ways it will lead to two common results, firstly we will develop a heart of wisdom and understanding which will help us make decisions, secondly it will make us conscious of the internal leading of the Holy Spirit which will mean it is easier to “keep in step with the Spirit” in our decisions which will mean we do not act presumptuously in our decision making (James 4:13-17). Many (even believers) do not however use this as a way to make big decisions. For vocational or locational decisions are often made on the basis of “Open” and “Shut” Doors. I receive a big job offer in a particular part of the country with a big salary attached would be an “Open” door as we all know “Opportunity knocks but once”. So we go through the open door. Likewise when we feel something is right and the door closes we feel it is a “sign”. Your skills will open doors, this is a truth of life, perhaps a better question we should be asking is how is God using me as part of his body upon the earth and will this move be helping the body of Christ or will it simply be bettering my career. Don’t get me wrong, we all need to provide for our family, but what are our motivations? Another common way that we move is emotional response. A relationship “feels good”. A life situation “feels frustrating”. Frustration is a sign we should move elsewhere because things are not working out. It may be however if we look back we can see the hand of God in moving us to this place, and if He did lead us should we let frustration (or shall I use the biblical word – anger) lead us out. Ultimately in this post I am just trying to get us to think biblically about hearing the voice of God and applying this to our life situation. This entry was posted in Bible Stuff and tagged making decisions, will of God. Bookmark the permalink. 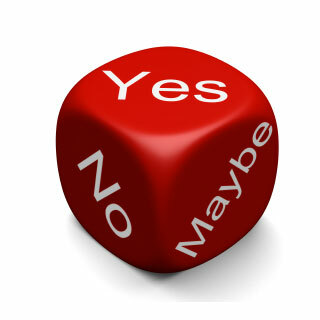 1 Response to Making Decisions? Thanks for explaining this, Jono. My two favorite parts are, “If we discipline ourselves to listen to God in these ways… we will develop a heart of wisdom and understanding… [and] it will make us conscious of the internal leading of the Holy Spirit”, and also, “perhaps a better question we should be asking is how is God using me as part of his body upon the earth and will this move be helping the body of Christ or will it simply be bettering my career.” This will definitely help my decision making in the future.